Old Minecraft Creepers are boring and is not a challenge anymore? 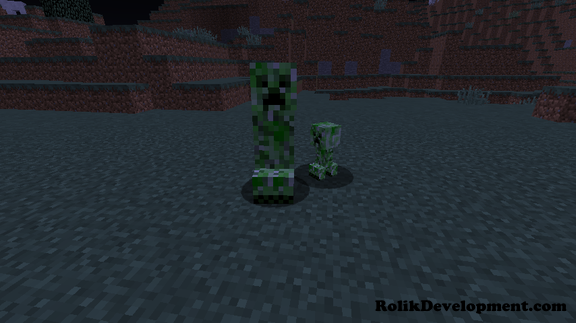 Well Extra Creeper Types will add 23 more creepers to make your world even more dangerous, these creatures have enough power to destroy villages and cause chaos as well. Has baby variation that is 20% faster than adult. 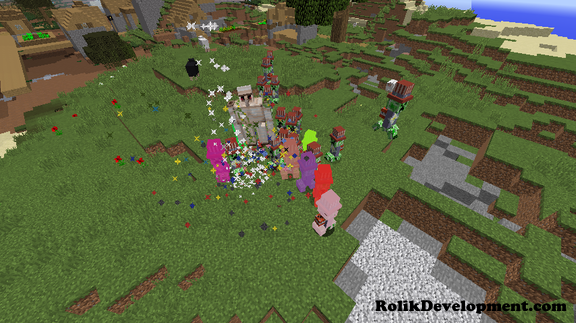 Explodes in to 5 tnt. 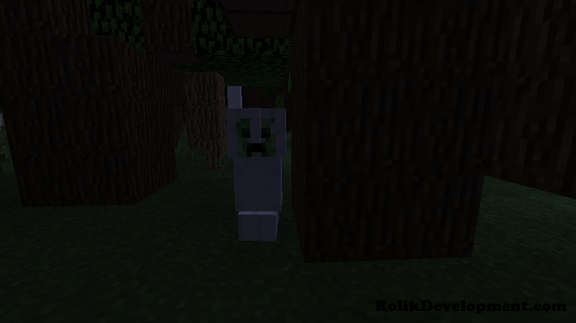 Has 20% chance to spawn in any biome during night. On explosion will launch you into the air and make slime squashing sound. 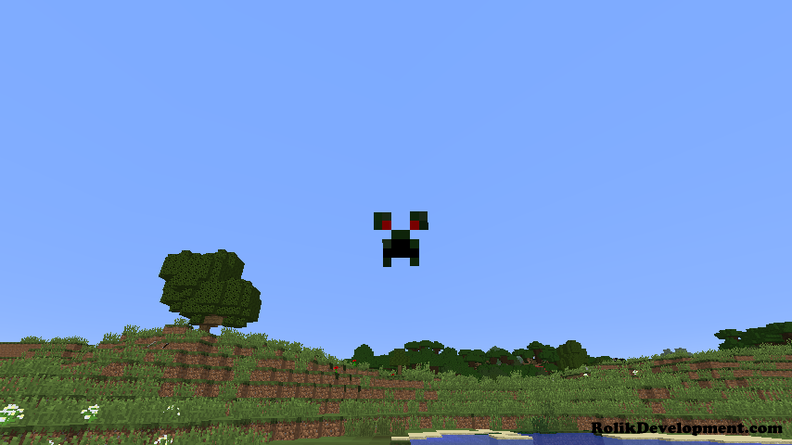 Has ability to fly and glide while in the air. Has 25% chance to spawn anywhere. Drops Gun Powder and sometimes feathers. Will explode on low health. 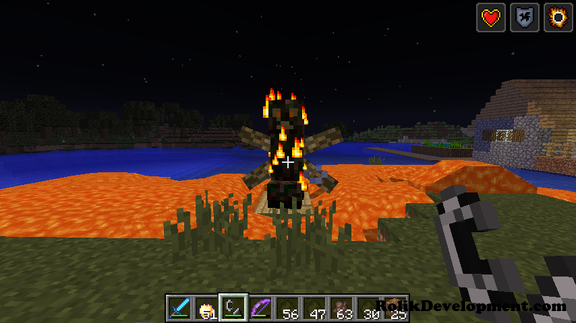 Will randomly shoot wither skulls to enemies. 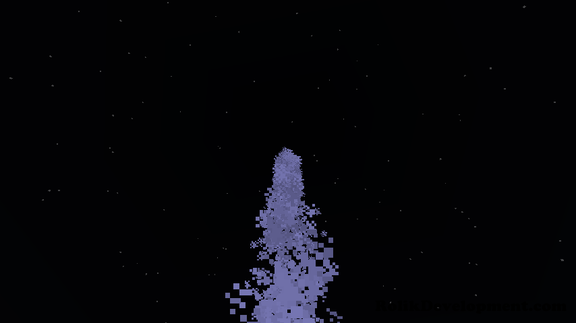 On death will create giant wither cloud that will give you wither III for 15 seconds. 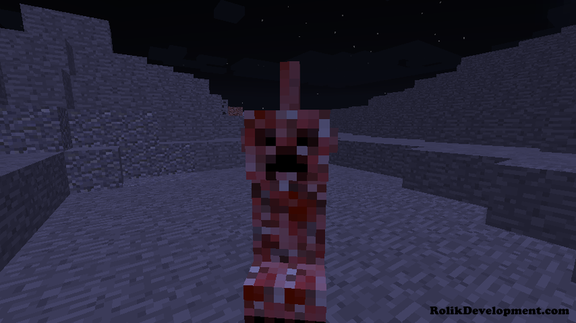 Has 20% chance to spawn in the nether. Will create fire rings on explosion. On death will set giant area on fire on explosion. 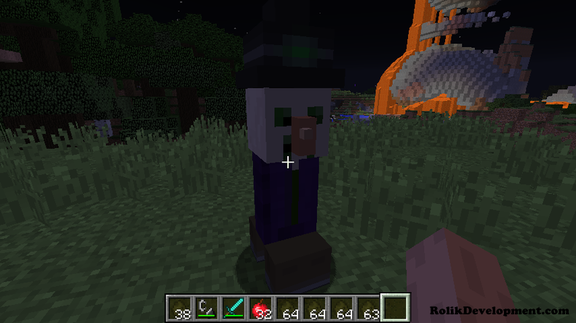 Has 30% chance to spawn in the nether. Gives Fire Resistance, Resistance and Speed to zombies. Gives Fire Resistance, Resistance to skeletons. Gives Slowness, Weakness and Poison to iron golems. Gives Speed, Resistance and makes spiders invisible. 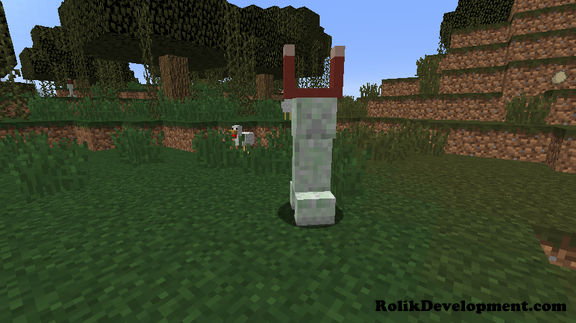 Gives Speed, Strenght and Resistance to enderman. Gives Regeration, Speed and Fire Resistance to witches. Gives Slowness and Negative Resistance to players and wolves. 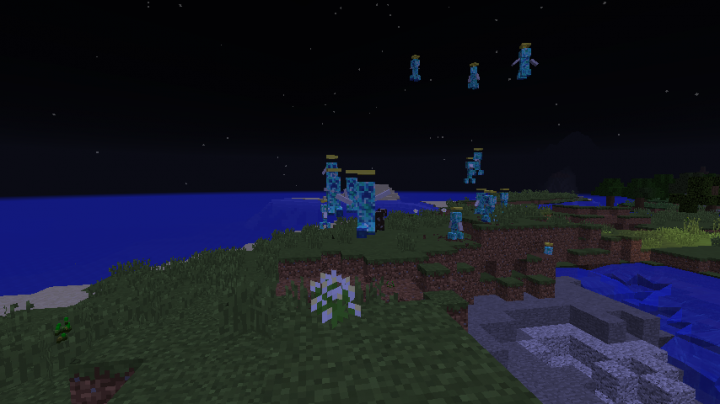 On death will buff hostile mobs within the 20×20 radius. 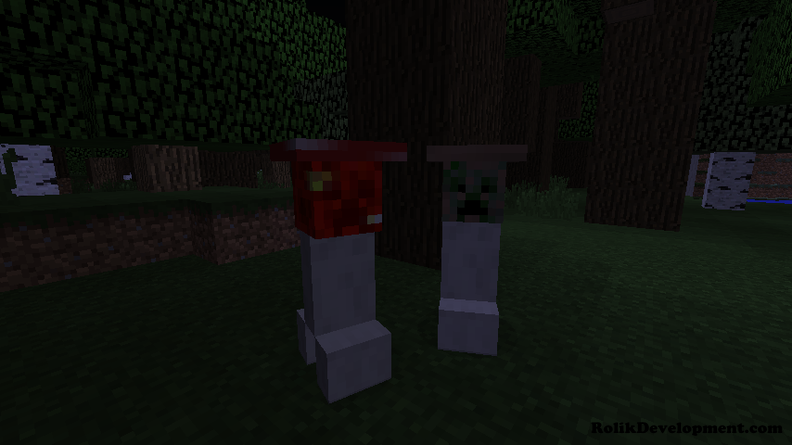 Will evade players and power up ordinary creepers. Has 5% chance to spawn anywhere. Explosion strenght is equal to 10x of normal explosion. Before exploding will grow in size max up to 8 times of current size. On death will create giant poison cloud that will give you poison III for 15 seconds. Has 20% chance to spawn in the ocean, rivers or beaches during night and day as well. 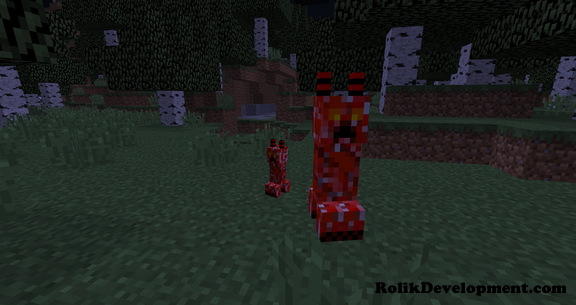 Explosion strenght is 50% less than normal creeper. Overtime can grow into adult. Fuse time is only 15 seconds. Has 50% chance to spawn anywhere during night. When fuse reaches 0 will launch himself to the sky. 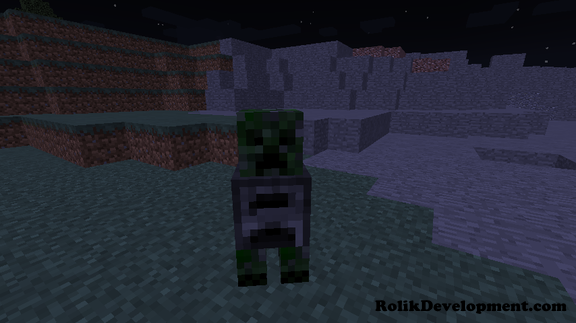 If player or any mob that will agro him will stand near him, he will pick that mob up. When he will land on the ground, he will explode. Has baby and adult variations. Has 20% chance to spawn anywhere in the overworld. Before explosion will power his body up and then cause fire everywhere. Drops 1 Furnace and up to 7 coal on death. Has more than 3.000 fuse color combinations. 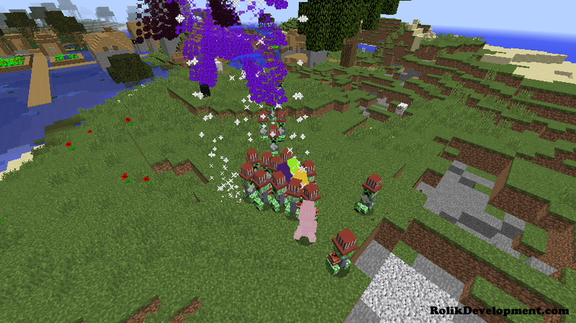 On Explosion will spawn fireworks that will pick nearby mobs up. Will not spawn by default(Can be tweaked in config). You can escape it’s wrath as even Creative Players will be sucked in by it(5x5x5 block radius)! 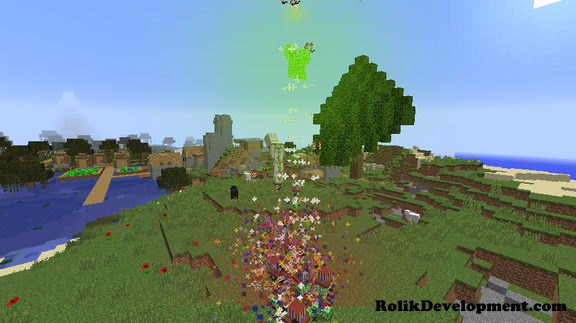 Explosion is equal to TNT explosion and has fuse time of 100. Has 20% chance to spawn in Extreme Hills. Has abillity to fly, glide and even is immune to fire! 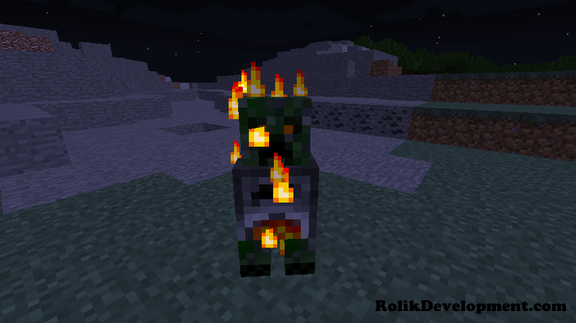 On explosion will spawn lava all around him and will set everything on fire. Has 20% chance to spawn in Hell. Will shoot random projectiles at his enemies! Adult on explosion will split into 5 babies! Babies on explosion will have 1.5x explosion and will spawn confusing cloud. Has 20% chance to spawn in swamp and roofed forest. Has fuse time of 300 and is really slow! Has huge defense because of armor , will not take any damage from projectiles , explosions and fire. Can spawn with diamond, iron and gold armor equipped. Before explosion will expand his body by 6.5 times and then will begin self destructing. Explosion is equal to mini nuke in size. 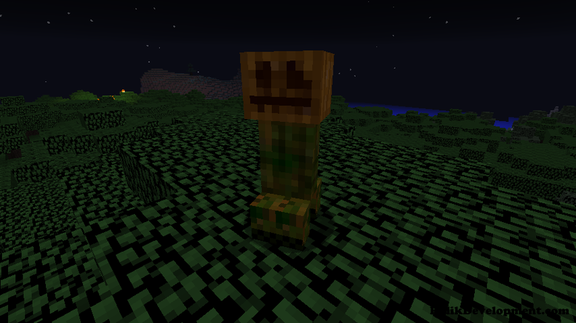 Will not die on explosion will only transform into normal creeper instead. Will not take any knockback. Has 5% chance to spawn in mesa and taiga and extreme hills. Before explosion will create many evoker fangs that will cause 6 damage each. Has medium speed and ignition time of 60. 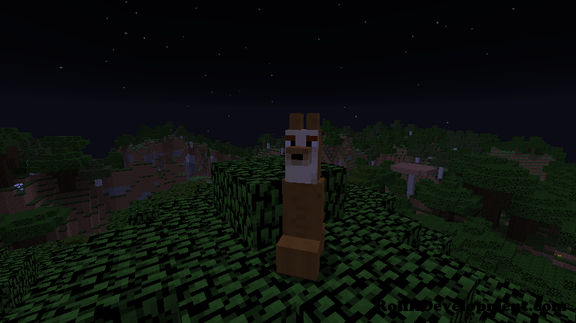 Has 15% chance to spawn in any biome at night. On explosion will lift ground upwards instead of destroying it. 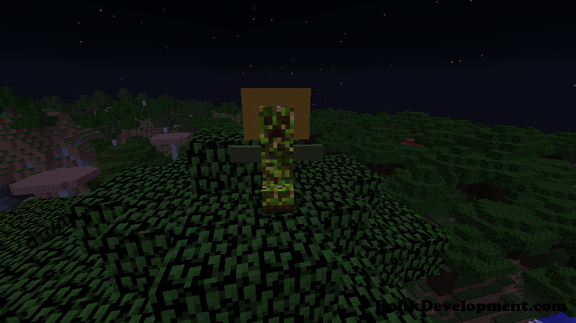 Will count Angelic Creeper as enemy. Can pickup any block except for bedrock. 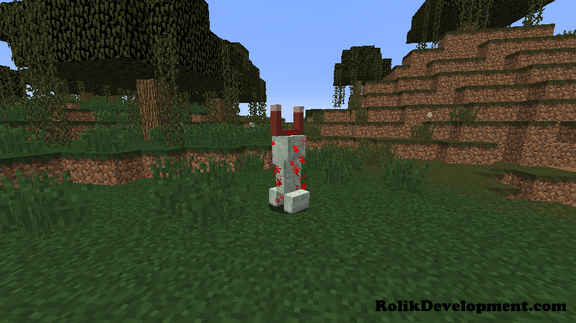 Has 15% chance to spawn in any biomes. 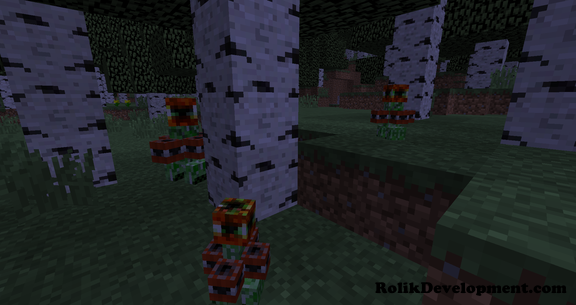 This creeper will create swarm off bats on explosion. 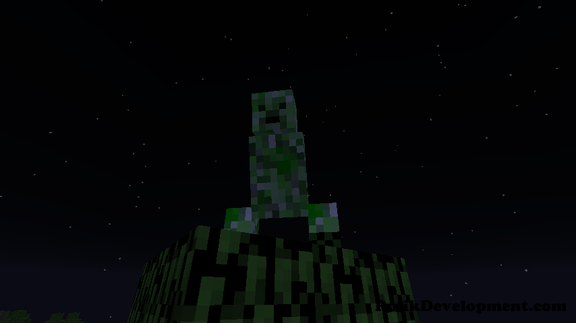 This creeper is fully harmless will only deal some damage on explosion. Has 15% chance to spawn anywhere when enabled in config. Will launch explosive spit towards his enemies. Spit will deal up to 3 damage and cause 1x explosion on contact. Has 15% chance to spawn in extreme hills or taiga or beach. 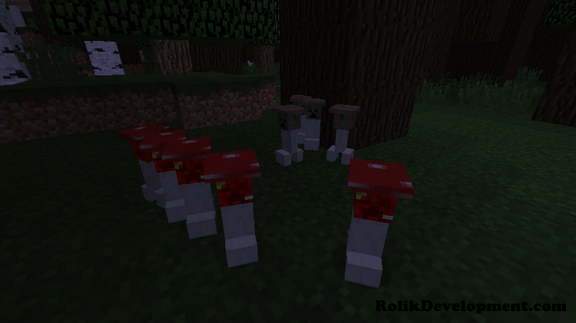 Will explode into random negative potion effects(poison, harming, wither, nausea, weakness,slowness). 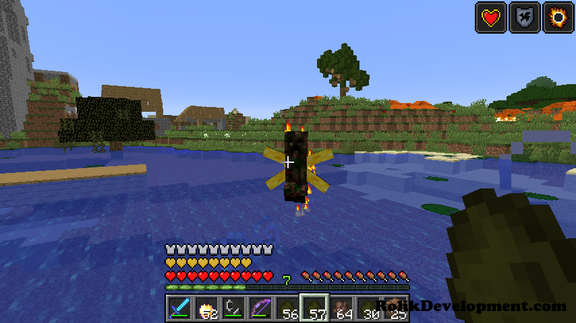 Will put on fire resistance when burning, water breathing in water and speed when attacking someone. Has same drops as witch. Has 5% chance to spawn in swamp. Before explosion will play random notes. 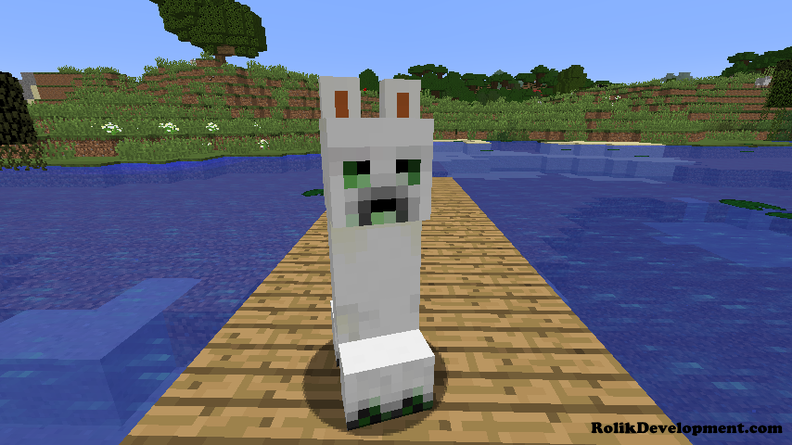 Will drop noteblock on death. 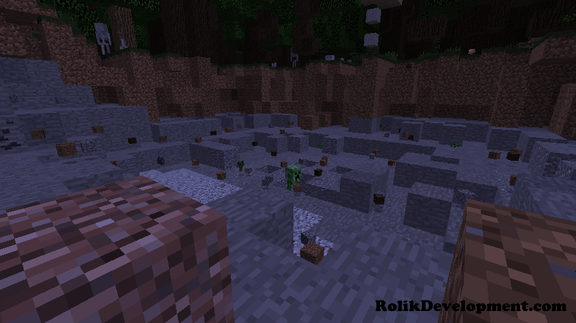 Has 20% chance to spawn in any biome. Has same drop as normal creepers, sometimes may drop snowballs. Has 10% chance to spawn in any snow biome. Will cause explosion that will not harm any terrain. Has ability to fly and glide, act same as a ghost or a vex. Will burn during the day. 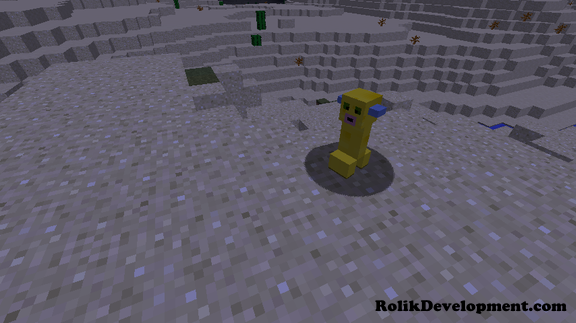 Has 10% chance to spawn in any biome. Creeper Slayer(Max level 5) Will deal up to 5 bonus damage multiplied by current enchantment level to almost all new creeper types(10% chance to get in enchant table for swords). Explosive Sweep(Max Level 5) On attack will cause explosion which radius be 1 by default and multiplied by current level(10% chance to get in enchant table for swords). 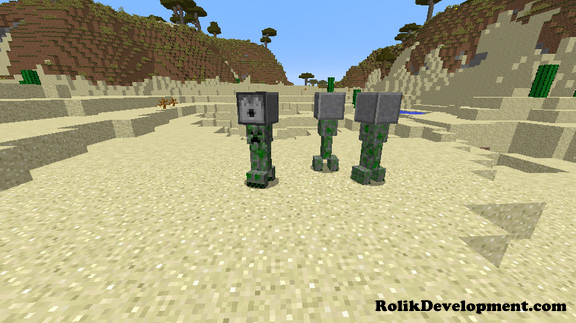 MagneticBody(Max Level 3) Will push every living being towards you default radius is 6 multiplied by current enchantment level(15% chance to get in enchant table for chestplate). 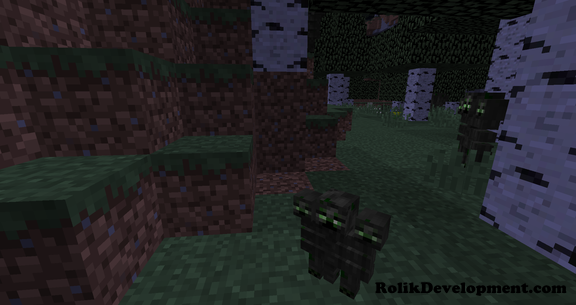 Creeper Repel(Max Level 1) Will repel all new types of creepers in radius of 6(5% chance to get in enchant table for chestplate).